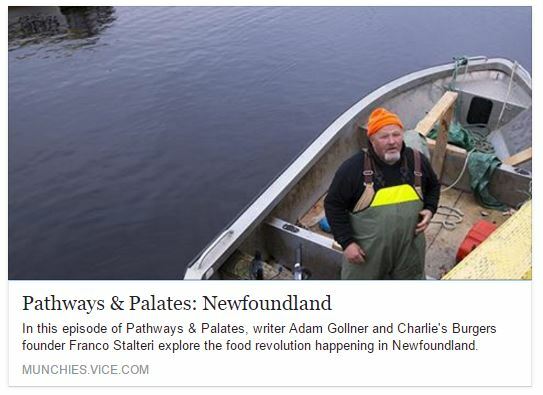 Pathways & Palates, writer Adam Gollner and Charlie’s Burgers founder Franco Stalteri meet up with chef Jeremy Charles of restaurants Raymonds and The Merchant Tavern in BONAVISTA! You’ll also see Bonavista locals Gerry Hussey and Katie Hayes of Bonavista Social Club. From foraging fall chanterelles for a moose and wild mushroom pizza to hand-lining cod, Franco and Adam find out first hand why Newfoundland is becoming increasingly known as one of the best places to eat in the country.